Receive professional legal services in family law, as well as criminal law, from our office in Brooklyn, New York. Fighting for your rights since 1996, the professionals of Law Offices of Asher B. 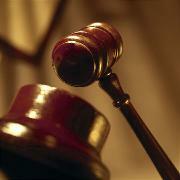 White have many years' combined experience to back our effective legal services. Our owner is a former prosecutor for the Kings County District Attorney's Office and is dedicated to meeting your needs. Contact our law office today for assistance with your legal matters. our law office for an initial consultation.